Sunday afternoon struck and it was one of those lovely, lazy days where you don’t abide by normal meal times and just want something delectable, cosy and relaxed. 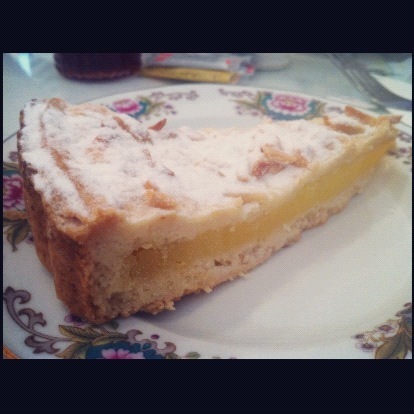 I’ve discovered a new food app called Foodspotting and it is fantabulous! I highly recommend getting involved, the list of things it does is endless and it’s a lifesaver if you’re in an area, don’t know where to go for food and are feeling peckish! I was perusing said app for places that might whet my appetite when I discovered this little gem and I knew it was exactly where I wanted to go. We reserved a table and when we arrived the place settings were divinely made up with adorable vintage china, all mismatching to give it a very homey feel. The sweet little menu was waiting on the table…the first order of the day was to choose what type of tea you would like and then to choose which cake you would like after your other delights. Now it was time to relax! The atmosphere was so wonderful, the service was attentive and the staff so, so friendly, putting me at ease to get on with my lazy afternoon. Bob Marley was playing lightly in the background and honestly I don’t think it gets much better than that. Feeling very refreshed having sipped on my tea I was eager to meet the forthcoming treats. 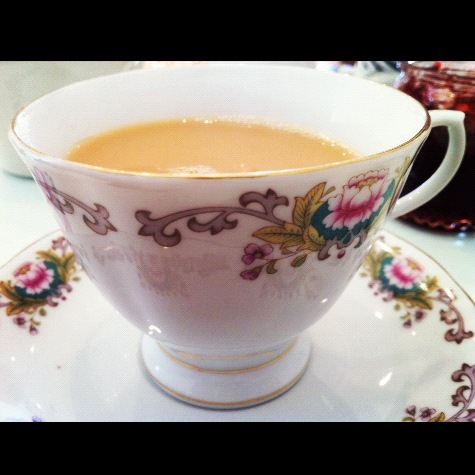 Tea somehow tastes better out of a proper cup and saucer rather than a mug don’t you think? The treats arrived on two tiers, the bottom was finger sandwiches beautifully presented (ham, smoked salmon w cream cheese, egg mayonnaise & cream cheese w cucumber) and the top; scones, little pots of home-made clotted cream, strawberries and petit fours…deelish!! Strawberry jam was already on the table…yes, they do it correctly here! The sandwiches were truly scrumptious, soft bread and the fillings were fresh and really well prepared. I could have ordered another round, but I wanted to save myself for what was left. And oh boy I’m glad I did. 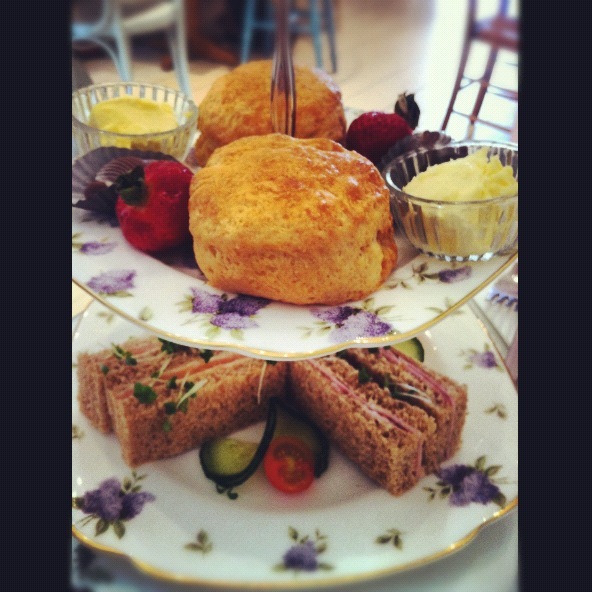 The scones were mouth wateringly good, and pretty big too! 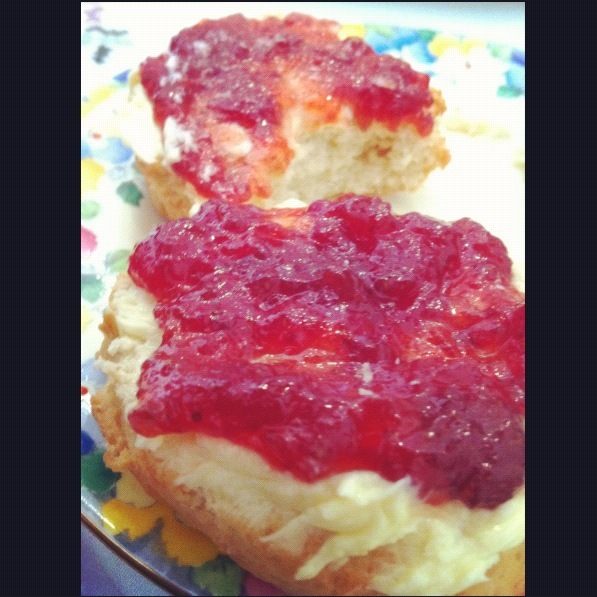 I’m a clotted cream first with jam on top kind of gal, this is always my favourite part of afternoon tea. You’ll see by the photo that I have already taken a bite before the photo was taken…it was calling out to me to eat it! Thinking the strawberries would be ok and mainly for show I wasn’t expecting much, but they were as sweet as anything and a really lovely addition to the Tea. Feeling rather full, I battled on and had my petit four…melt in the mouth praline chocolate. 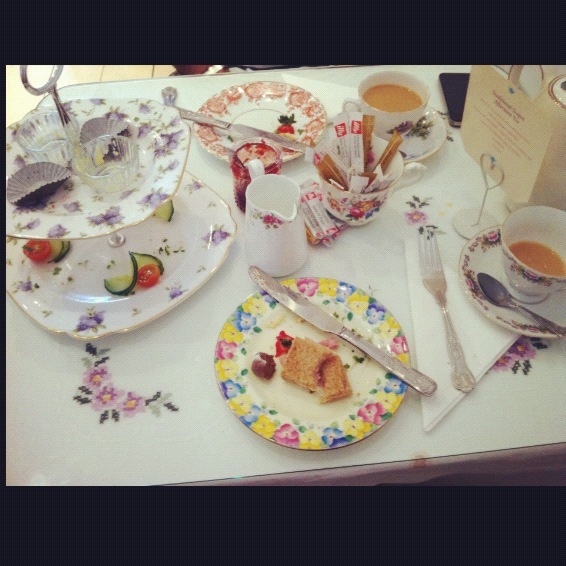 Needless to say, we asked for a bit of a break before our cakes. They were so accommodating and let us have all the time we needed. After a little gap to let our food go down, we had our cakes delivered. I chose a huge slice of carrot cake and Aky had the chantilly cream & lemon cake. 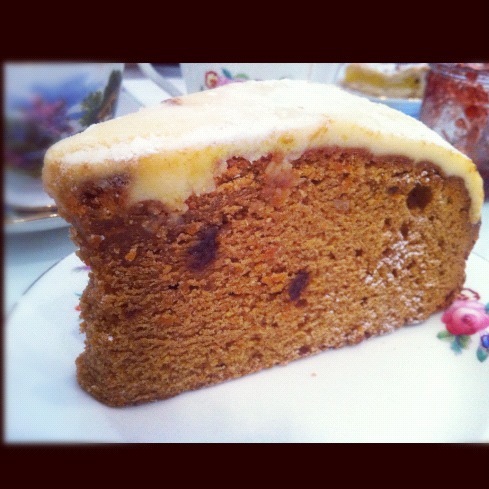 The carrot cake was unbelievable! Very cinnamon based, with soft, soft sponge and the most tantalising icing on top. It tasted like Christmas, and it was heavenly. The lemon cake was great, it tasted like lemon curd in the middle, so the smoothness with a little bit of a tart spark to it synchronised so well with the pastry crust that before you knew it, it was all gone! The decor in there is colourful and quaint without coming across as kitsch. There are a couple of tables and chairs outside and there’s even an area downstairs if you want to book a private party. The beautiful benches that line the back and side of the main dining area are a clever idea that generates more seating and also furnishes the place in a really stylish way. 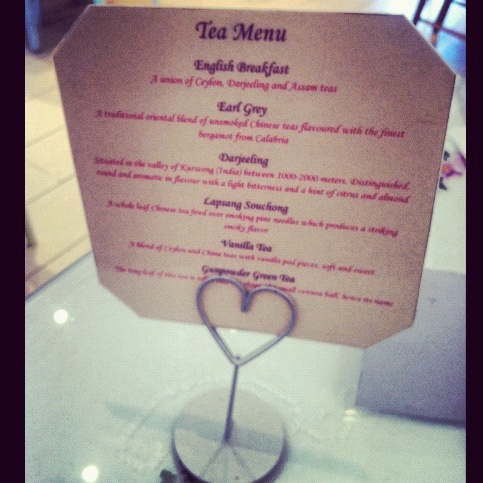 The Afternoon Tea was £18 a head, pretty reasonable, but they also serve breakfasts and lunches, which sounded amazing. We left SO full and SO happy!! It was perfect in every way! If you’re strolling down The King’s Road and fancy yourself a traditionally English treat then pay these guys a visit, it’s well worth it!! 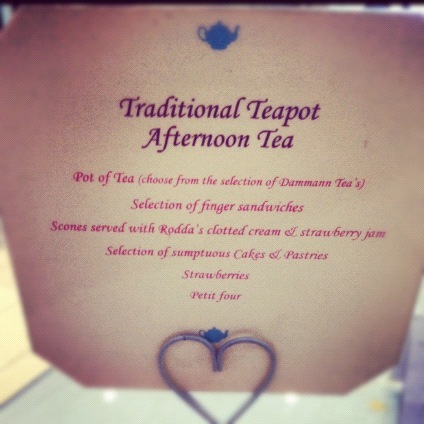 I live opposite the Chelsea Teapot and have not tried the afternoon tea yet :-(. What i can say though is that the cupcakes are some of the best i have had in London! Great post and love the photos. Thank you for reading the post! 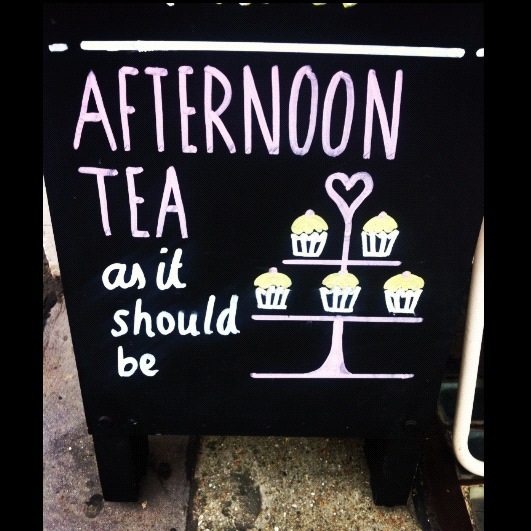 I shall have to try the cupcakes next time I pop in, but you should definitely go for afternoon tea, it’s the perfect Sunday treat.